You'll be £10.00 closer to your next £10.00 credit when you purchase Gandhi, Smuts and Race in the British Empire. What's this? Towards the end of 1906, a meeting took place between two emerging giants of the age, Mohandas K. Gandhi and General Jan Christian Smuts. United under the same empire, but separated by distance and culture, Smuts was born in the Cape Colony, and Gandhi in Porbandar, a duchy of the Indian province of Gujarat. Both, however, went on to study law in Britain, and while developing a great admiration for the institutions of empire, each man also suffered his own particular crisis of faith. 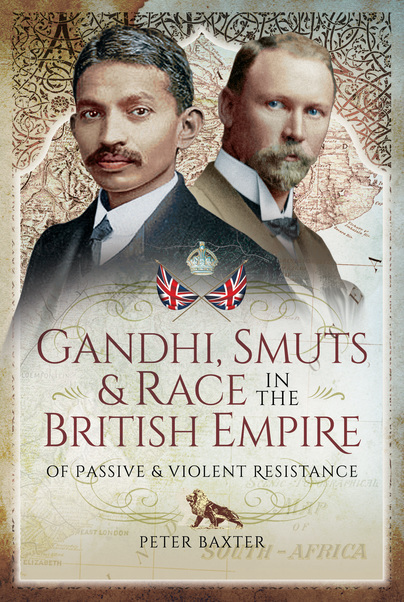 From their widely dispersed origins, Gandhi and Smuts collided over the issue of race and equality in a turbulent province of the empire, each attempting to hold the British to their stated ideals. This insightful book explores attitudes to race, and belonging, in an age when the English speaking peoples straddled the globe, and sought to impose on all of their subject races, basking under the radiance of Britannia, a common ideal of parity, equal opportunity and free movement. Peter Baxter is an author, amateur historian and African field, mountain and heritage travel guide. Born in Kenya and educated in Zimbabwe, he has lived and travelled over much of southern and central Africa. Peter lives in Oregon, USA, working on the marketing of African heritage travel as well as a variety of book projects. His interests include British Imperial history in Africa and the East Africa campaign of the First World War in particular.